Zukiswa Wannerâ€™s latest offering transports the reader from the dusty roads of Malawi on the back of a lorry to an impromptu safari from the confines of a small bus in Tanzania. With Hardly Working: A Travel Memoir of Sorts, Wanner presents a travel memoir (of sorts) that documents her journey through several southern African countries using public transport with her partner Tchassa and her young son Kwame in 2016. Team Hero Squad, which is the name Kwame gives her family, adventures from Kenya to Tanzania, Malawi, Zambia, Zimbabwe, South Africa, and Uganda. Wanner then journeys to Europe by herself – to Denmark and then the Ukraine through Germany and Poland – before returning to the motherland to South Africa, Nigeria and Kenya. The trip is motivated by Wannerâ€™s desire for her child to know the Africa beyond his school textbooks, to celebrate her 40th birthday, and mark the 10th year since her first novel, The Madams, was published by doing readings in as many countries as she could. Her job as a writer means that Wanner is often traveling. In her new book, Wanner marries the two providing an intimate view into her travels in both Africa and Europe as a writer and a traveller. As a travel memoir, Hardly Working has the perfect balance between description and insight. Wannerâ€™s writing through the African leg of her journey is particularly captivating. Her parents were both political activists, her father South African and her mother Zimbabwean. She was born in Zambia, schooled in Zimbabwe, votes in South Africa, and lives in Kenya. Wanner is Africaâ€™s child, with roots in many countries on the continent. It is from this background that she discloses childhood memories and her connections with people and places in neighbouring African countries. She also shares her observations and thoughts about her family, patriarchy, politics, and writing. The book feels like an intimate and vivid conversation with a witty and thoughtful Wanner. It is dotted with the sights, smells, and tastes of her travels. The reader is swept along a number of adventures that vary from hitchhiking to protesting against bond notes in Zimbabwe and Wannerâ€™s 40th birthday celebrations. Wanner pays particular attention to the foods she ate and the modes of transport she used to travel. She writes of how she dined on all sorts of food on her journey from tripe, nsima (a starchy carbohydrate), kale, and kapenta (a type of fish) in Malawi to horse biltong in the Ukraine. Perhaps the most interesting thing in the book is the various forms of transport that Wanner encounters, and the stories and experiences that come with each from the matatus (small mini-bus) in Kenya to the lorries in Malawi, and the chicken bus in Zimbabwe. 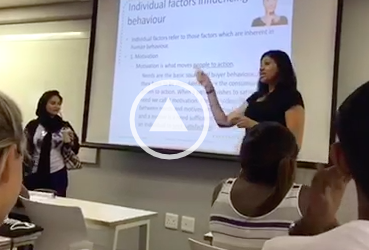 Through it all there are interesting conversations with colourful characters and varied encounters with immigration officials at the various borders that Wanner found herself at in those four months in 2016. 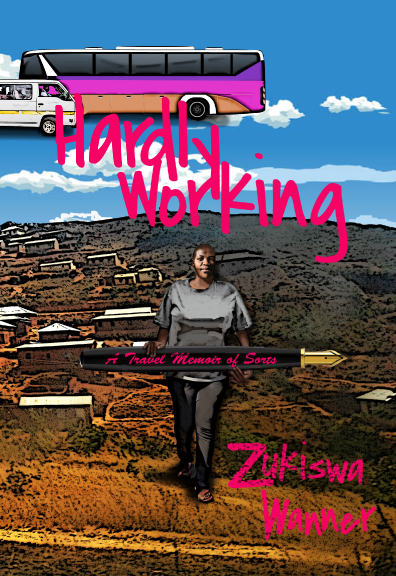 Cover for Hardly Working by Zukiswa Wanner. Supplied by Black Letter Media. Wanner has written five books previously, this is her 6th book. Wanner has also authored children’s books, short stories, essays, and articles. Her book London Cape Town Joburg won the K Sello Duiker Prize in 2015 at the South African Literary Awards. In 2013, she was selected as one of 39 African writers under the age of 39 most likely to change the direction of literature in sub-Saharan Africa. Hardly Working is published by Black Letter Media, a South African publishing house driven by the intent of affirming African writers to find their voice and tell their own stories. The book is 224 pages long and is available at local and online booksellers for R160.